Montreal, October 14, 2016. – A pill a day for 12 weeks. The new direct-acting antivirals (DAA) are effective in curing the hepatitis C virus infection, a potentially fatal disease that attacks the liver. But they are expensive–approximately $60,000 per patient. 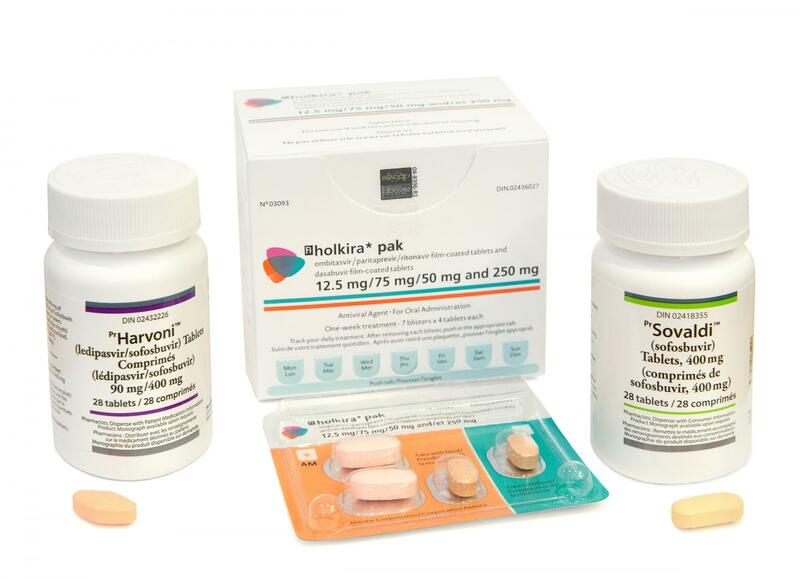 A study conducted by researchers at the University of Montreal Hospital Research Centre (CRCHUM), The Kirby Institute, UNSW Australia, and the Canadian Network on Hepatitis C (CanHepC) shows that nearly everywhere in Canada, provinces and territories impose obstacles to the reimbursement of these medications by the public system because of their cost. "There are many new direct-acting antivirals, marketed by different pharmaceutical companies. We studied reimbursement practices for simeprevir, sofosbuvir, ledipasvir-sofosbuvir and paritaprevir-ritonavir-ombitasvir plus dasabuvir. We found that 85 to 92% of the provinces and territories in Canada restrict access to these medications to persons with moderate fibrosis," affirmed Alison Marshall from the Kirby Institute, UNSW Australia, lead author of a study to appear today in CMAJ Open. More than 220,000 people in Canada are infected by the Hepatitis C virus. The disease is transmitted by blood. One person in four spontaneously clears the virus before it attacks the liver. The rest often don't feel any symptoms at the beginning, but gradually develop liver disease, graded from F0 to F4. F0 corresponds to the initial infection without fibrosis and F4, to cirrhosis. From one ocean to the other, provinces and territories impose all types of conditions before reimbursing any of the direct-acting antivirals: a fibrosis level of F2, prescription from a specialist physician, the absence of HIV infection, etc. "The pill isn't easy to get," says Michel Deschenes, 38. "I've been infected with hepatitis C for a year and I am still waiting for a FibroScan® examination. My doctor told me to come back later because my liver isn't sick enough to prescribe the medication. I have a girlfriend and am actively seeking work. This is putting my life on hold and I'd like to get rid of it," he said. "The treatment is effective, safe and economically viable. We should treat all people infected with hepatitis C," insisted Dr. Julie Bruneau, a physician and researcher at the CHUM. Canada is committed to the World Health Organization's objective of eradicating hepatitis by 2030. "Currently, in Canada, the majority of new and existing hepatitis C infections occur in people with recent or former injection drug use. These people are often vulnerable and stigmatized and have a difficult relationship with the health-care system. Telling them to wait often means losing sight of them. If we want to significantly reduce infection in the future, we need to offer appropriate services, screen and treat these people. If they get reinfected, they have to be treated again immediately. If not, we'll lose the battle and that will be more costly in terms of money and human lives," explained Dr. Bruneau. If the trend continues, the costs associated with treating patients with cirrhosis of the liver will increase from $161M to $258M a year in 2035, according to the calculations of the authors of the CMAJ Open study. "In terms of public health costs, it's less expensive to pay $60,000 now for an antiviral treatment than $500,000 for a liver transplant later," indicates Dr. Bruneau, also a Professor at the Université de Montréal. Scientists at the Canadian Network on Hepatitis C are calling for a national strategy to eliminate hepatitis C in the country. "Even though health care is the responsibility of the provinces and we have 13 public health insurance plans in Canada, we need a national plan and shared goals that can be adapted to local realities. We did it for HIV and we should also do it for hepatitis C," argues Naglaa Shoukry, a researcher at the CRCHUM and the director of the Canadian Network on Hepatitis C.
In Australia, this type of approach provided leverage to negotiate the price of antivirals with pharmaceutical companies, enabling access to HCV therapy for all patients living with hepatitis C with no restrictions based on severity of liver disease. In the first five months of therapy being available, 26,500 have received treatment (12% of the estimated total with chronic hepatitis C). "At the present time in Canada, it's the law of supply and demand; there are negotiations on a company-by-company, pill-by-pill basis. There is no transparency and we don't really know how much the new antivirals really cost. The only way to eliminate hepatitis C is by adopting a national strategy to screen and treat all infected individuals, particularly people who inject drugs," concluded Naglaa Shoukry. The study entitled "A review of restrictions of reimbursement of direct-acting antiviral treatment for hepatitis C virus infection in Canada" was conducted by researchers at the Canadian Network on Hepatitis C (CanHepC), headed by Naglaa Shoukry (CRCHUM & Université de Montréal) and Julie Bruneau (CRCHUM & Université de Montréal). The study does not necessarily represent the viewpoint of the main funding bodies: The Canadian Institutes of Health Research (CIHR) (grant: NHC-142832), the Public Health Agency of Canada and the Australian Department of Health and Ageing. To learn more, we invite you to read the study: cmajopen.ca.